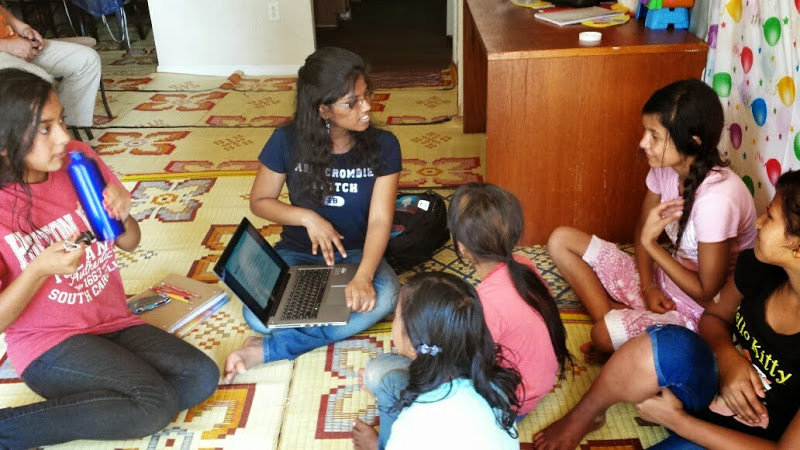 Atlanta teen NISHA KASHYAP talks about her experience interning at SEWA Atlanta’s Get Inspired – Bhutanese volunteer program. The Bhutanese community has flourished in Atlanta in recent years after overcoming a struggle to retain their cultural identity. In the 1980’s the government of Bhutan developed a policy known as “One Nation One Policy”. This policy discouraged the Bhutanese of Nepali origin from practicing the religion of their choosing, resulting in an exodus of over 100,000 Bhutanese refugees. Under UN resettlement, more than 77,000 Bhutanese refugees are situated in America, with 5,000 now settled in Atlanta. Atlanta,GA, Aug 27: Every teenager strives to make a mark on the world. At the very least, we try to make a difference in someone’s life. Not everybody is fortunate enough to receive that kind of opportunity, but through SEWA Atlanta’s Get Inspired – Bhutanese Volunteer Internship, my fellow interns and I were able to make a significant impact on children and teenagers who were struggling in school. 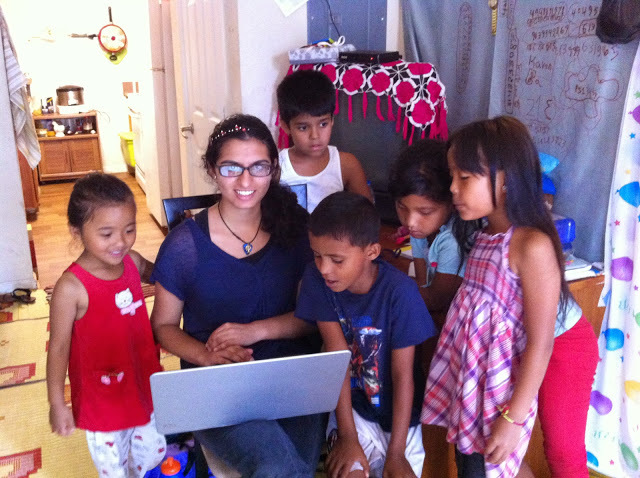 The emphasis of this year’s internship was to benefit the local Bhutanese immigrant community by educating their youth. 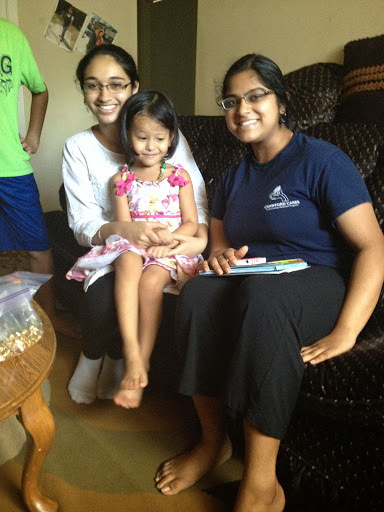 As interns, we work with students between the ages of five and eighteen, four times a week. The tutoring classes last for two hours and the class size ranges from two to ten students, all of whom are bright-eyed and eager to learn. Currently, we have six devoted interns (Shivika B., Devneet S., Pranaya P., Radhika C., Avanti J., and myself) ranging between the ages of thirteen and seventeen, who are committed to helping the students improve academically. We ensure that they gain solid foundations on core subject areas with a particular emphasis on mathematics and science. In addition to focusing on academic improvement, we strive to teach the students about basic health and hygiene by conducting workshops in areas such as nutrition and first-aid. The information taught in each class is specifically tailored to the students’ needs and taught in interactive, engaging, and easy to understand sessions. Although the students improve exponentially with the tutoring sessions, the main issue the Bhutanese students face is a language barrier. Eighty percent of our students have difficulty understanding and speaking English, which directly impacts their ability to learn and retain new information. Their inadequate mastery of the English language not only prohibits them from understanding important vocabulary, but also decreases their morale and motivation. In order to keep classes fun and break the language barrier, we make sure to include breaks in our tutoring sessions and to plan fun activities. We have had a blast making jewelry, dabbling in basic origami, playing memory games, and even just talking to our students and sharing some snacks. “By communicating with the students, we have become more than just teachers; we are friends and have a strong relationship,”said Devneet Singh, a Sewa Intern. In order to raise funds for these sessions, we have conducted several fundraising events, one of which was a free car wash. It was conducted at Global Mall along with our Bhutanese students and we raised $317 in donations to buy school supplies for our students. This experience is not only beneficial to the students, but it has also profoundly impacted us, the interns. Over the course of this journey, I have gained a very memorable and humbling experience that has taught me about myself and improved my communication skills. This internship has given all of us more exposure with people, particularly young children, and has taught us how to interact and collaborate with others. As teenagers, we are infamous for being ignorant to others and indifferent to matters that do not directly benefit us. However, by just spending time with these unique students, we learn to be empathetic and to overcome our sometimes reclusive tendencies. The precious moments when one of the younger students writes his name for the first time, or when an elder student finally understands exponents and sighs with pleasure, or even when a student eagerly asks to practice more math are all memories that I will treasure and turn to for motivation. The SEWA internship is a program that strives “to provide the opportunity for young people … to serve the local community and undergo personal development and leadership training through a well-structured summer internship program” (sewausa.org). This internship has been a great journey with many ups and downs that connect us all and for that, we are thankful to SEWA ATLANTA for giving us this opportunity. I wholeheartedly encourage all of our fellow teens to take part of the adventure that is SEWA Atlanta’s Get Inspired, Bhutanese Volunteer Internship. Shah Rukh getting threats from underworld?